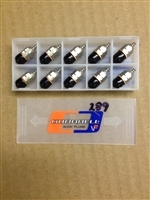 Odonnel ODO 289 Turbo glow plugs come in a package of 10. 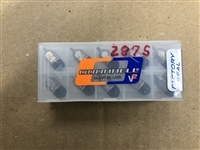 Odonnel ODO 289 glow plugs come in a package of 10. 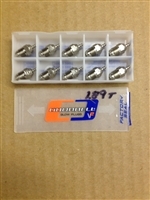 Odonnel ODO 287S glow plugs come in a package of 10. 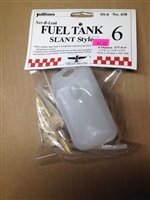 Odonnel ODO 9 glow plugs come in package of 10. .550 ID Outboard motor mount with hinge plate and fully adjustable. 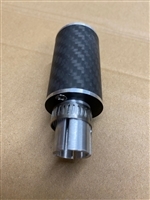 K&B 7.5 outboard prop shaft assemblies Custom made 3.5 prop shaft assembly for k&b lower units. These prop shaft assemblies will withstand a tremendous amount of abuse compared to the stock k&b units. 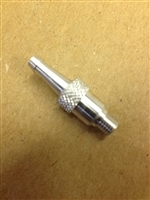 Tuned pipe muffler stingers available in two sizes. 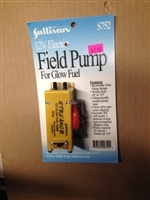 .25 - 24" step down to 3/16"
Sullivan 12V field pump for glow fuel only. Stop using those hand crank pumps that fail at the end of the season. Get yourself a proven design to last you for years to come! Racers Edge Glow Plug Ignighters. 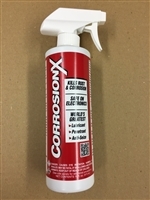 Small - 1/8" wall 5/8" ID 12"
Medium - 1/4" wall 5/8" ID 12"
Large - 1/4" wall 3/4" ID 12"
X-Large - 7/16" 7/8" ID 12" Blow plugs, use the blow plug by screwing into your nitro motors in order to flush out your motors at the end of the day. Works for turbo plug and standard plug. Actual product may differ from time to time. 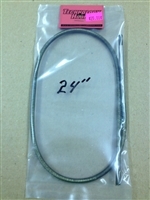 Outboard lower unit flex cables in both 3.5(.21) and 7.5(.45) sizes.